Many working class Black Americans struggle to obtain affordable housing. 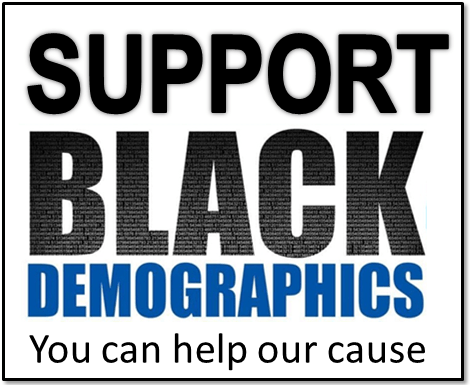 The percentage of Black homeowners decreased between 2005 and 2012 from 46% to 42.5%. Much of these losses can be attributed to the housing crisis where so many Americans lost their houses to foreclosure. 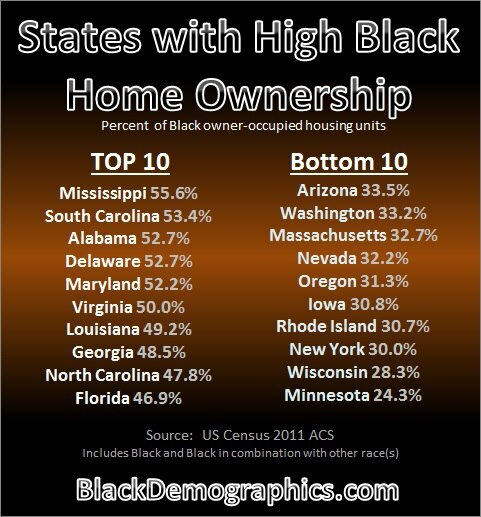 This also means more than half of all African Americans rent. What’s even more alarming is the fact that 59.2% of renters spend more than 30% of their income on rent. This is an increase from 53% in 2005. This is important because it is recommended that no more than thirty percent of a households’ income is spent for housing costs. For homeowners the percentage of households spending more than 30% of their income on housing increased from 40% to 43.9% during the same time period. Although this is lower than it is for renters it is still higher than the national average of 33.9%. Having to use so much of income for housing makes it much more difficult for African Americans to make ends meet, especially since Blacks have also experienced a large increase in median gross rent from $686 in 2005 to $820 per month in 2012. 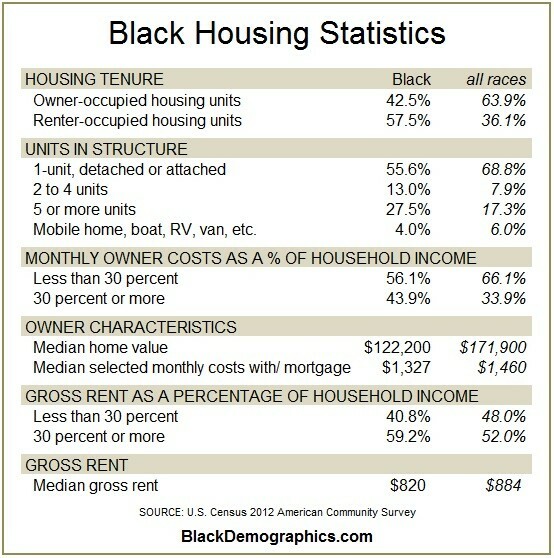 Also the median value of homes owned by African Americans decreased from $126,000 in 2011 to $122,200 in 2012.